Shiny Seedot in game: 33 Who? Important notice! 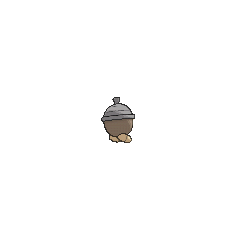 Pokemon Shiny Seedot is a fictional character of humans. 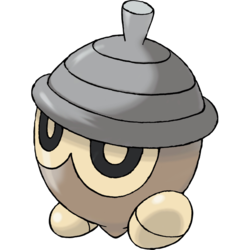 Seedot is a small, brown Pokémon that resembles an acorn. A beige, mask-like pattern covers its large black eyes, and it has two beige feet. It has a gray "cap" with a short stem on top of its head. The stem is used to hang from tree branches in its forest home. While hanging, this Pokémon absorbs moisture and nutrients from the tree until becomes too heavy and falls to the ground. The more it drinks, the glossier its body becomes. Additionally, Seedot polishes itself with leaves once daily. If it remains still, it can be mistaken for a nut and startles others by moving suddenly. Seedot appeared in Seeing is Believing. 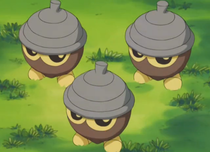 A trio of these Acorn Pokémon were in a sad mood and Professor Birch used his Pokémon knowledge to cheer them up. A Seedot also appeared in Reversing The Charges, where it told Meowth why the Elekid living on the mountains was so aggressive. 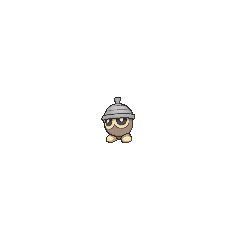 Seedot first appeared in Johto Photo Finish. Multiple wild Seedot appeared in Destiny Deoxys. 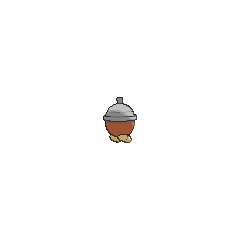 Also, an unnamed Trainer had a Seedot. 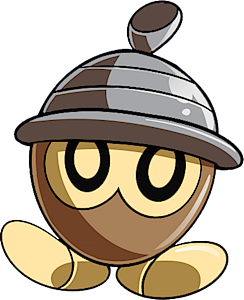 A Coordinator's Seedot appeared in Old Rivals, New Tricks! participating in the Sandalstraw Contest. A wild Seedot appeared in The Cavern, where it was running away from a storm which a Primal Kyogre was involved. Attacks do more damage when there are no more moves left.